In surgery and in the air, the work can seem routine, yet the overall job is highly complex and unpredictable. Stress and fatigue can affect performance. And there's the challenge of working with a team of people, any one of whom could make a mistake that could ultimately end in loss of life. Then again, a member of the team could also detect an error while it can still be fixed and save the day. Dr. Richard Karl's dynamic presentation "Forty Years in Operating Rooms and Cockpits" at the Annual Cancer Symposium for the Society of Surgical Oncology is made available. Dr. Richard Karl's article on Aviation and Medical Safety is published in the January Journal of Gastrointestinal Surgery. Everyone makes mistakes, but in medicine and aviation, mistakes have the capacity to provoke catastrophic consequences. Aviation takes the idea of human fallibility seriously. In 1979, the Federal Aviation Administration (FAA) mandated that all commercial airlines implement crew resource management--a system of intense, focused communication, teamwork training and operations designed to increase safety. The U.S. airline fatality rate has steadily declined. In 2007 and 2008 no one perished in a U. S. Airline jet with over 1.5 billion passengers flying during that time. 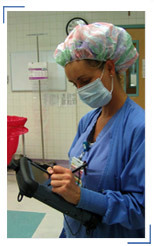 We launched the Surgical Safety Institute in 2004 because we knew operating rooms could also be safer. We were inspired by the success of aviation safety techniques and we knew the same methods could be applied to surgery. So we pulled together a team of nurses, aviation experts, physicians and computer programmers and did just that. We turned crew resource management into surgical resource management. Surgical Safety Institute is based on the premise that bright, hard working, altruistic individuals who have chosen the surgical world for their life's work are highly motivated to minimize error, detect errors when they occur and fix those errors. The current medical culture of blame and shame has done little to reduce error. In fact, it is estimated that 50,000 to 100,000 lives a year are cut short by medical mishap and that half of these deaths involve a hospital-based surgical experience. Surgical Safety Institute addresses the disparity between good intentions and unfortunate outcomes. When we put our program in place, we listened to nurses, surgeons, anesthesiologists and patients. As expected, they liked the idea of reducing and fixing errors. We also expected the surgical team to be leery of introducing something new to their operating room. When we told them it would take just two to four hours of training to put our program into place, they agreed to try it. Our clients have experienced improved patient safety, better communications and increased morale as a result of implementing these techniques. ©2019 Surgical Safety Institute - All Rights Reserved.